Dear friends, we would like to inform you, that The Garden was nominated in the category Best Restaurants. There is no expert jury, the winners in each nomination will be defined by people’s choice. The results will be announced on the 23rd of May 2014 at a special ceremony and the companies that were chosen by people will be awarded with a special and unique prize that will become a sign of recognition. Welcome to The Garden restaurant. This is place to go for every gourmet visiting the Yermasoyia strip in Limassol. Relax in the outdoor lounge area as you savor the taste of your meals combined with the fragrances of Cyprian air. 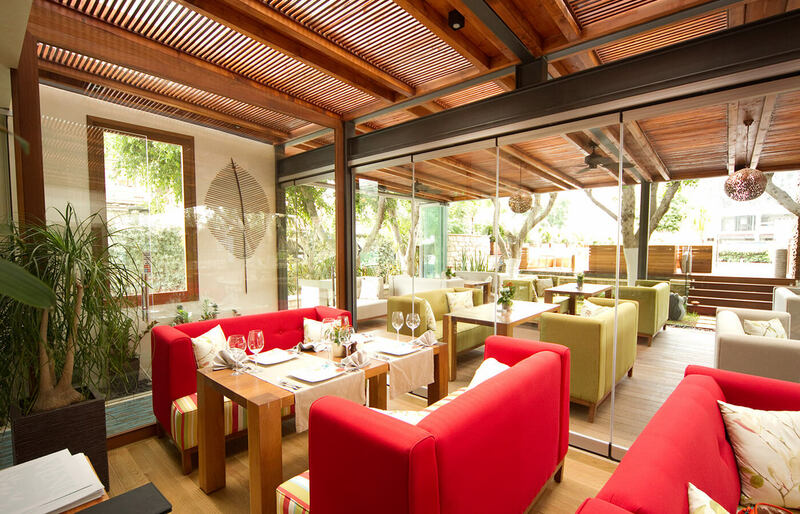 The Garden features modern eclectic cuisine with a unique blend of flavors from East and West. You will remember the time spent here as one of the best memories about your vacation. Our skillful cooks and friendly staff will do everything possible in providing the best service for you. Come and taste our delicious stakes, pizzas, sushi and many other dishes. And of course don't forget about the water pipes. We were the first on the island to serve the high-quality Narghile with fresh fruits (apple, pineapple, watermelon). Your staying in Cyprus would simply be not complete without tasting the delicious food at one of its finest restaurants – The Garden.